Grout Shield Products Bring Out The Beauty In Your Floors! Give Your Tile and Grout A Fresh New Look! Grout Shield Colorant Kits Make your floors look like new! When the homeowners look at their floors, they know that no matter how much cleaning and scrubbing they do, their floors will never look as new as they did when they first went in. This is not true. It is not too late to use grout shield kits to restore the grout lines in the floor. The kits can make the floors look new again. The kits can be matched to any standard color and can even be created in custom colors to meet the homeowners needs. Do not live with floors you no longer love, when it is easy to restore and protect them. 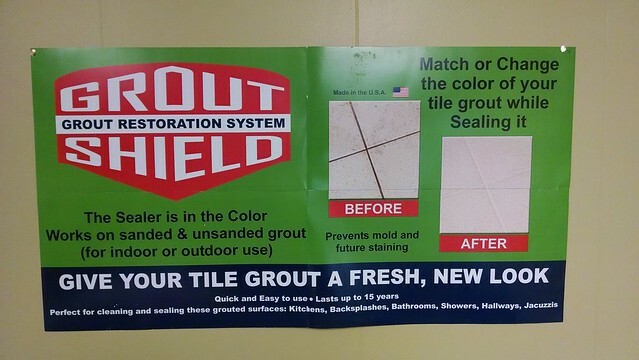 For more information on our top of the line products and service, contact Grout Shield TODAY!